International Hot Rod Association - Summit Sportsman Spectacular Racers, Are you Maximizing Your Winnings? 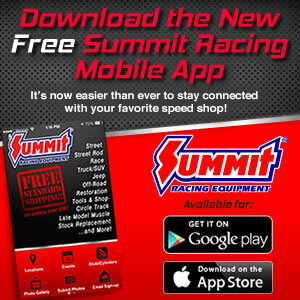 Summit Sportsman Spectacular Racers, Are you Maximizing Your Winnings? WEST PALM BEACH, Fla. — As an International Hot Rod Association (IHRA) Summit SuperSeries member, don’t lose out on your opportunity to take advantage of the IHRA contingency program at IHRA Summit Sportsman Spectacular events. IHRA Members who are winners and runners-up in Box, No Box, and Junior Dragsters are eligible to receive IHRA contingency awards from IHRA partners at all IHRA Summit Sportsman Spectacular events. Click here to view the requirements for claiming contingency sponsorship. As a courtesy, the IHRA trailer at Summit Sportsman Spectacular races does have an inventory of select manufacturers decals available. Note: Not all manufacturers provide decals for distribution at the event. To ensure a valid claim, please contact the manufacturer directly to obtain the decals you need prior to the event. To become an IHRA member, please call 561-337-3015 or e-mail membership@ihra.com.